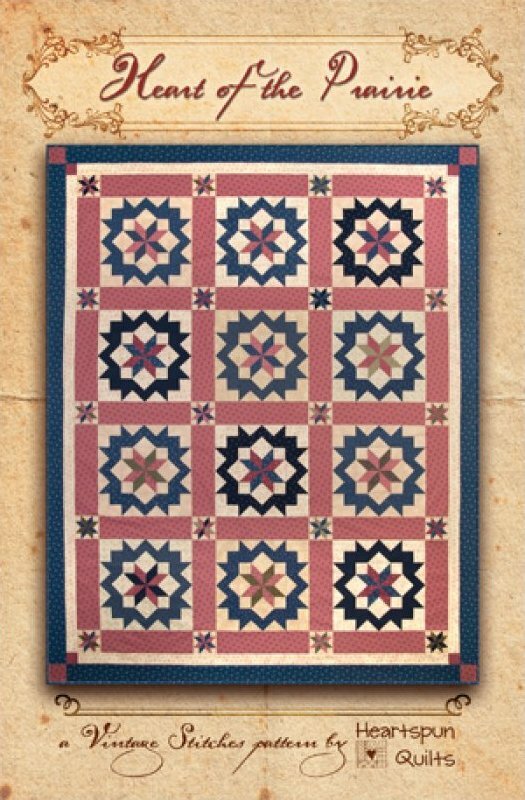 Heart of the Prairie was inspired by a glorious antique quilt from the 1800's. It features 16 inch Carpenter's Wheel blocks, and two sizes of LeMoyne Stars, neither of which contain the dreaded "Y" seam! The pattern has step-by-step easy piecing techniques with modern rotary cutting instructions. Quilt measures 74" x 94"